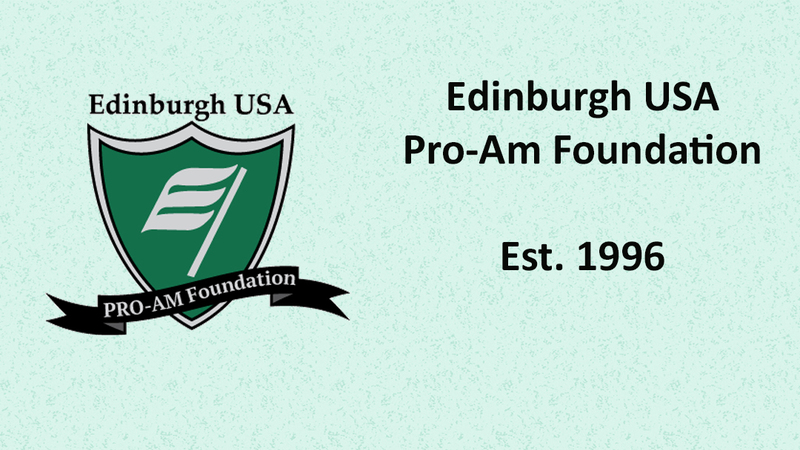 In 1996 Jack Umland and Don Berry had a shared vision of hosting the best Pro-Am in Minnesota at Edinburgh USA. In 2000 the Pro-Am became an official foundation with 501©(3) status. 22 years later we continue that vision with the Foundation donating more than $300,000 in charity to local organizations throughout the Twin Cities, many in Brooklyn Park and the North Metro area. The 1st year that the tournament was held Ford Droegemueller and Jerry Johnson of the Saint Andrews Club at Edinburgh agreed to be the title sponsor along with a number of other smaller sponsors, some of which still sponsor to this day! Throughout the years there have been other title sponsors including North Heart Center, Don Schreifels & Associates, Grand Casino and Austin Mutual. Other major sponsors have included: Medtronic, Guidant, Eli Lilly, Johnson & Johnson, Salser Carbonmedics, Leef Services, Target, Galaxy Auto (and now Heartland Tire), Comcast and Xcel Energy. The Saint Andrews Club and Edinburgh Men’s Golf Association, and many other sponsors continue their support each year. From the beginning many charities in the Brooklyn Park and Twin Cities area have benefited from the generosity of our sponsors and players. These include; Community Assistance Program(CEAP), Hope Kids, TapeMark, The North Heart Foundation, North Hennepin Community College Foundation, Suicide Awareness Voices of Education(SAVE), Brooklyn Park Youth Athletic Assoc. (BPYAA), Meals on Wheels, and many more. The original Board of Directors of the Foundation in 2000 included Jack Umland and Don Berry along with Bob Klick, Mike Eicher and Neil Jensen. Later that year four new members were added and included Mike Opat, Ray Bonestroo, Loren Backlund, and Mary Shoemaker. The current board include: Officers, Chairman of the board Bob Klick, Secretary Mary Shoemaker, Treasurer Steve Erchul and Ex-officio Jack Umland along with at large board members: Don Berry, Dave Serie, Rick Hauch, Kurt Johnson, Julie Zieminski, Art Sprague and the current Board of Directors of the Saint Andrew Club.